I love this quilt pattern. 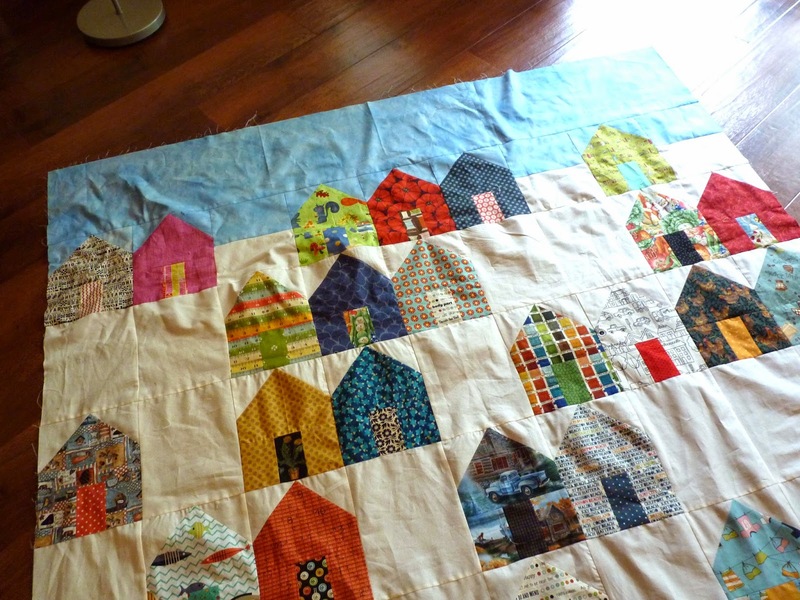 I could see turning it into a Swedish fishing village quilt! I can see this, also. The clean and simple lines of the block is very Scandinavian. 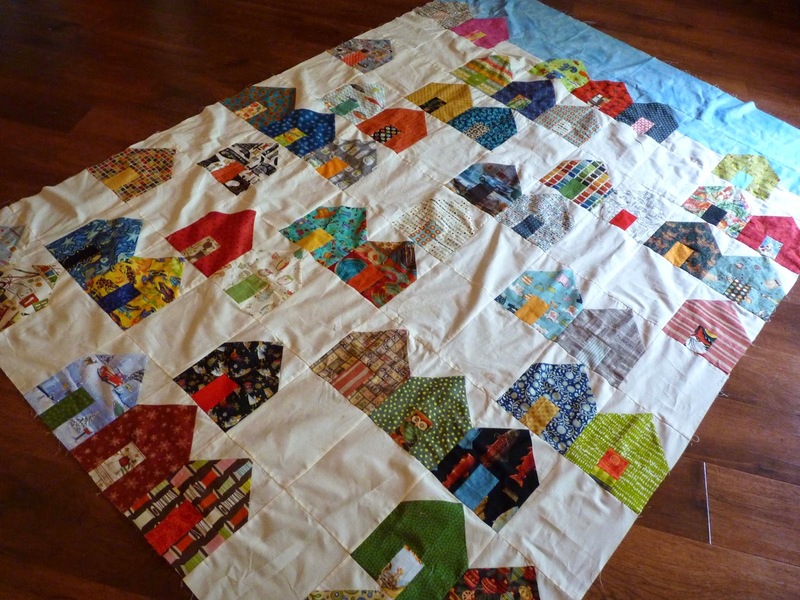 It was fun to Google this quilt to see the other colors/fabrics other quilters have used. Swedish reds, blues, yellows, greens...that would be so striking! So cute! May have to get this pattern. Marva, you must. I did the little tip they suggested in the pattern and sewed an extra line when sewing on the pieces to make the house roof. 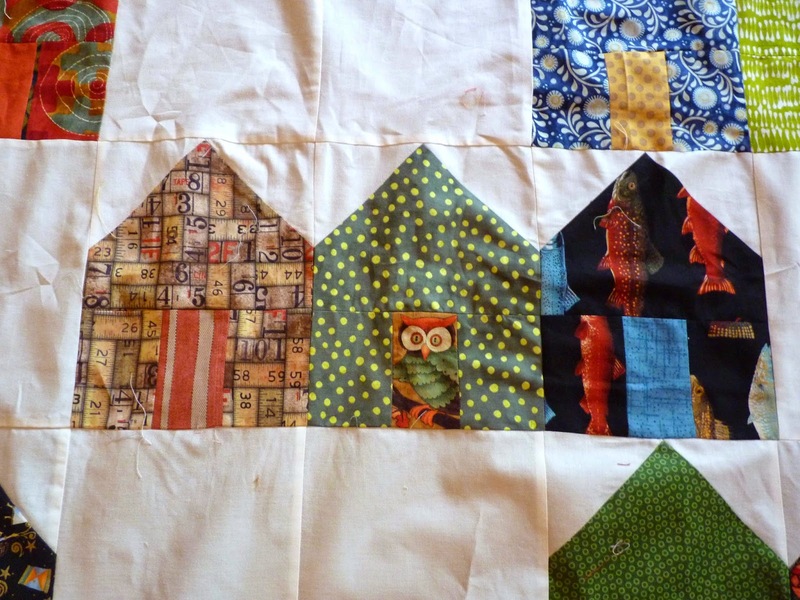 Now I have tons of half square triangles for another project! I love it. 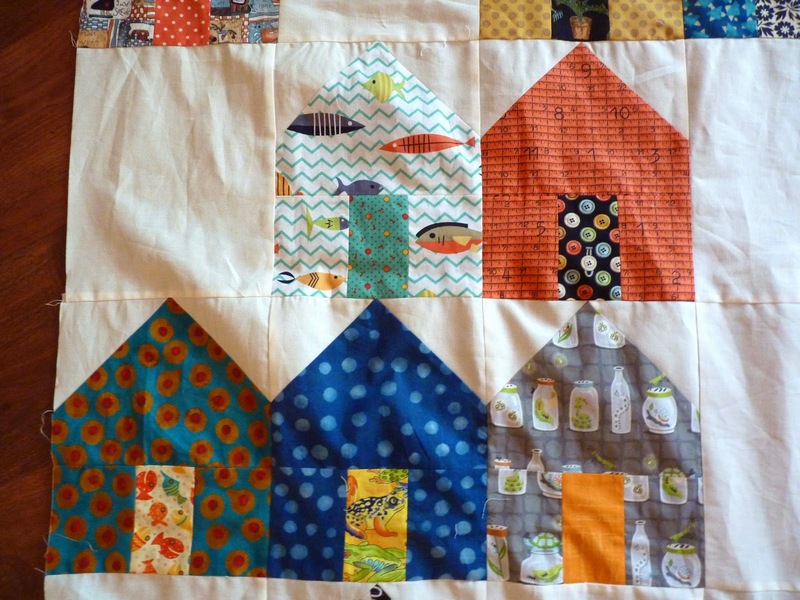 I have been thinking about making a quilt similar to this for a while & now this has inspired me. Think I may have to add some people or trees or something else but then the simplicity of the houses is its charm.